Hey Style Lovers, Happy Friday! This week was truly awesome! Yesterday I had the opportunity to participate in the family Dollar Fabulous event, which was amazing (check out all the amazing moments on my instaStories, and stay tune for a recap post) Although it’s been an amazing week, I have to say I’m happy it’s over, as I can’t wait for the opportunities the new week will offer. I’m also anxious to see the Falcons beat the Patriots, and watch Gaga hit the half time stage this Sunday! Who are you rooting for this Sunday? Ending my all black, black is beautiful week with this outfit post featuring this look from Ladyee Boutique. 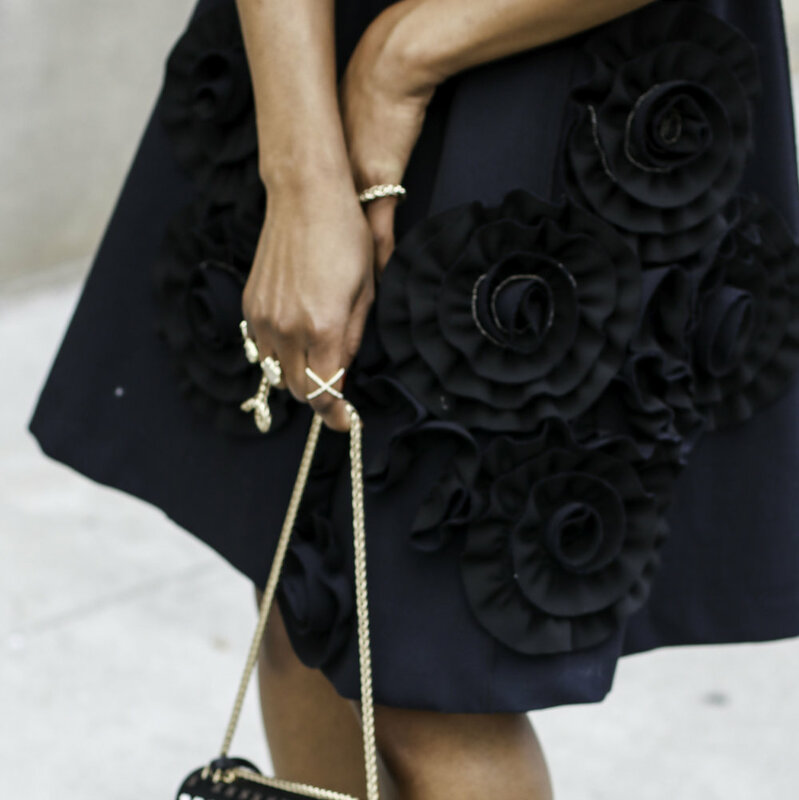 I absolutely love ruffles, and love how it gives the outfit life! Because the dress spoke volumes, I wanted to keep the look as simple as possible, hence I paired it with a classic pair of Valentino pumps, and a detailed bag. The dress, and the details make it a great look for Valentines Day, or any occasion that warrants a beautiful dinner in the city. Don’t forget to click on the written as well as the image links to shop the post, and have an amazing Super Bowl weekend, GO FALCONS!